A gas drill rig near Montrose. 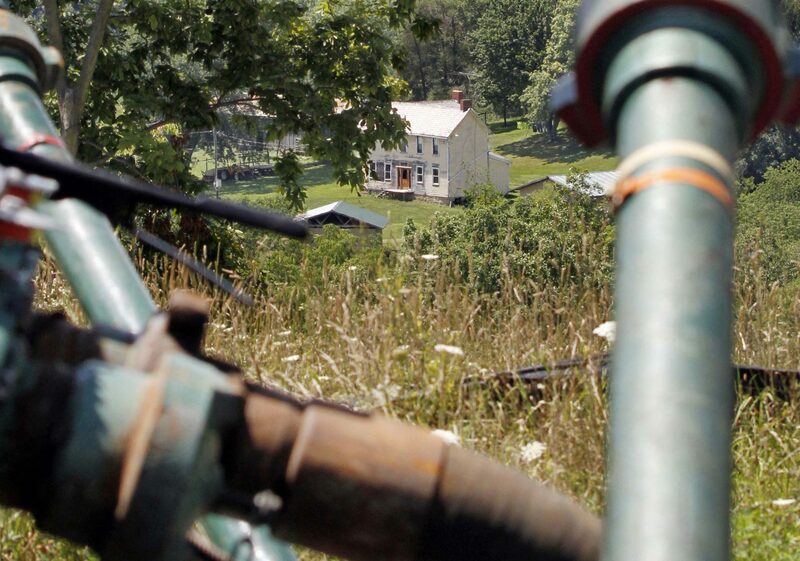 A Pennsylvania appeals court on Friday rejected a request by a natural gas production company to rehear a case whose outcome could affect drillers across the country. The case, Briggs v. Southwestern Energy Production Company, involves the legal principle known as “rule of capture,” which means a property owner has the right to extract or “capture” an underground resource such as water, oil or gas, even if it flows from beneath another property owner’s land. 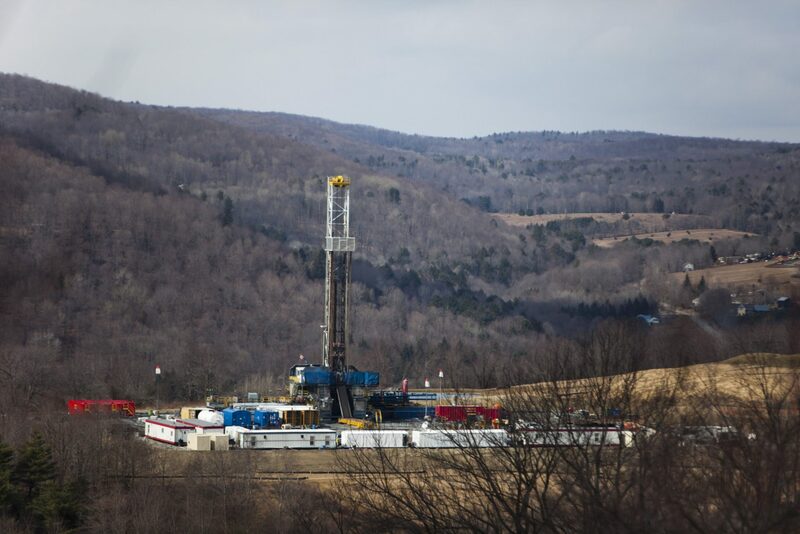 The case calls into question the longstanding practice as it applies to fracking, which requires subsurface rock to be deliberately broken in order to release trapped gas. In 2015, the Briggs family sued Southwestern Energy for trespass and conversion, arguing that the company’s fracking efforts were illegal and it should not be allowed to use wells on neighboring properties to tap gas beneath their land. The family owns about 11 acres of land in Susquehanna County and did not lease its land for gas drilling. The family argued that the use of hydraulic fracturing is different than conventional oil and gas drilling because it does not simply draw from a free flowing sub-surface resource. Instead, it requires breaking up rock to unleash oil and gas that had been trapped within the shale lying beneath the surface. They claim that without the fracking, oil and gas cannot flow from beneath one property to an adjacent property — so, they say, the rule of capture does not apply. The trial court rejected their arguments and the family appealed to Pennsylvania’s Superior Court. On April 2, a two-judge panel ruled the Briggs’ arguments had legal merit. Superior Court Judge John Musmanno wrote that the differences between conventional and unconventional drilling are significant enough to warrant a trial. Southwestern Energy had sought an en banc rehearing of the case among the remaining Superior Court justices, referring to the decision as having “revolutionary significance.” Attorneys for Southwestern argued that even conventional oil and gas drilling, which taps a reservoir, requires human intervention. The company said the decision upends established Pennsylvania law and could result in a setback to the industry nationwide. Southwestern says it will appeal the decision to the Pennsylvania Supreme Court. In a statement, it expressed hope that the court will hear the case. If the Supreme Court does not take the case, or if it confirms the Superior Court’s decision, then the case will return to the trial court, where the Briggs family will have to prove that Southwestern did indeed siphon gas from beneath its property.